Work continues to consume the majority of my week but I am still managing to get out and enjoy myself over the weekends. Last weekend I headed out into Brunswick with Elena and some of her work mates for an excellent night out, we started in a very hip bar; The Brunswick Mess Hall before moving onto the reasonably gross Liquid-esque Doutta Galla Hotel for a few more drinks and a bit of a dance. This weekend I ended up out at a Halloween house party with the guys and girls from work which was a lot of fun. In between my obviously unchanged drinking habits I’ve also managed to catch some more of the sights! 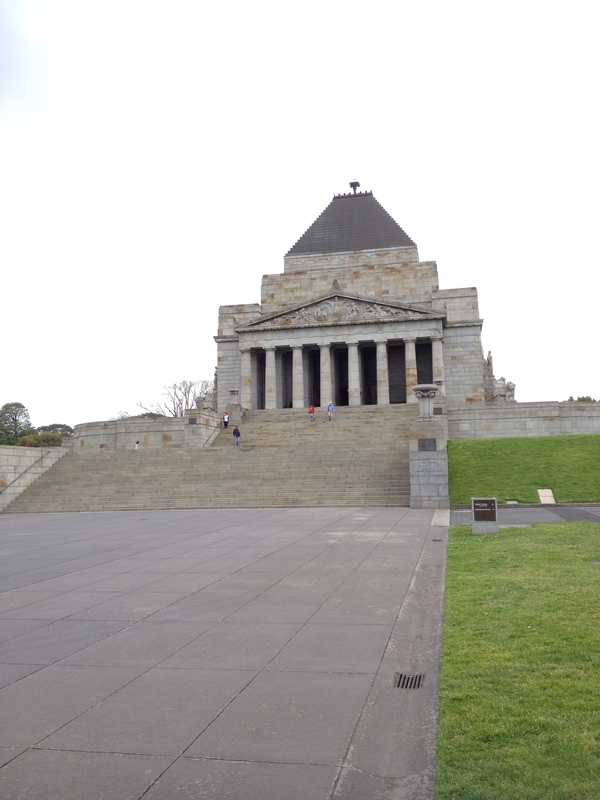 A couple of streets over from where I live is the Shrine of Remembrance, originally a monument to those Australians who gave their lives in World War I it is now a memorial for all Australian service men and women who have served for their country. In a hilarious and unexpected twist of fate, the Shrine is obviously not finished. This has often been the case when I have visited famous monuments and landmarks around the world. Honestly, how long does it take to build a church, a shrine, or a museum? The crypt below the shrine was closed as where large portions of the memorial gardens. Oh well, never mind. 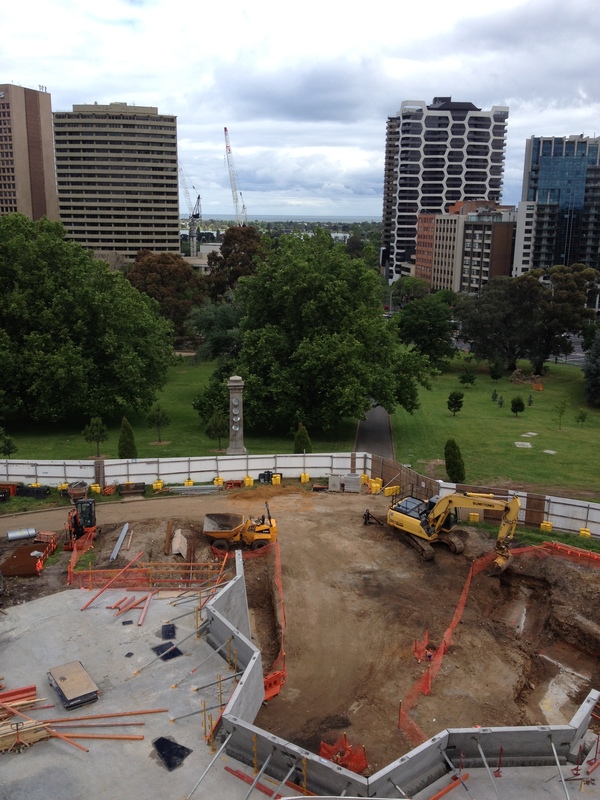 On the bright side, the shrine is in a fantastic location just off St. Kilda Road with great views back into the city. It’s got a good skyline and I like skylines if you didn’t already know. The upper viewing deck was, as a genuinely pleasant surprise, open and free to access. 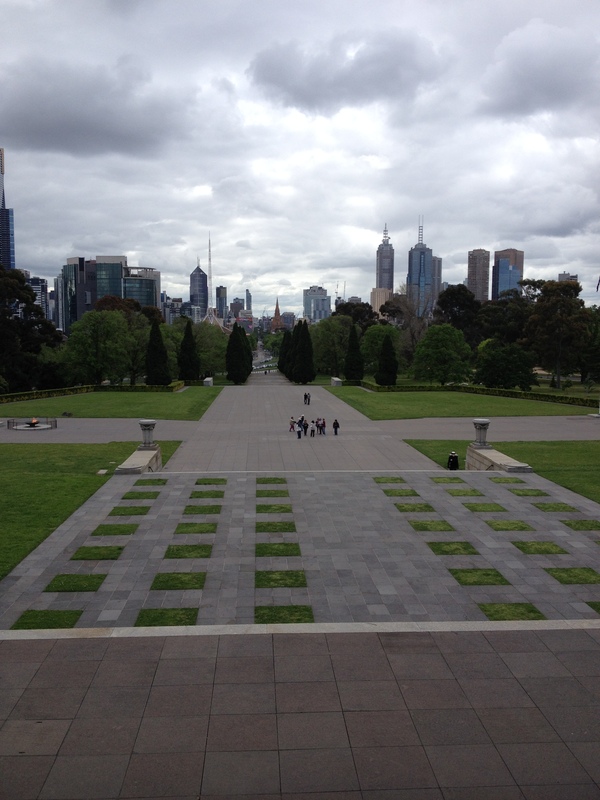 Around the shrine are several gardens and memorials, as well as a small visitor centre which gives a brief overview of Australia’s involvement in the history of war and how certain individuals grew to prominence because of their actions. It is probably up there with Budapest’s Heroes Square as one of my favourite monuments. It doesn’t look like it belongs here and yet there it stands; a tribute to those fallen. You’ve heard me banging on about how I still haven’t made it to the beach right? Well, the good news is I have now made it to the beach and not just one of them. Whilst feeling slightly hungover on Saturday afternoon I decided I couldn’t let any more sunshine go to waist, filled up my water bottles, slapped on some sunscreen and headed out the door. 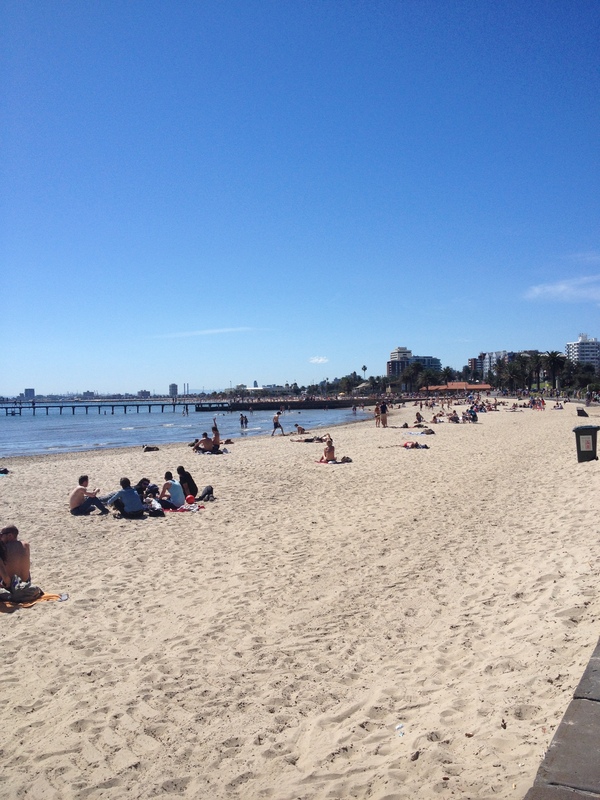 I was St. Kilda bound via Albert Park. 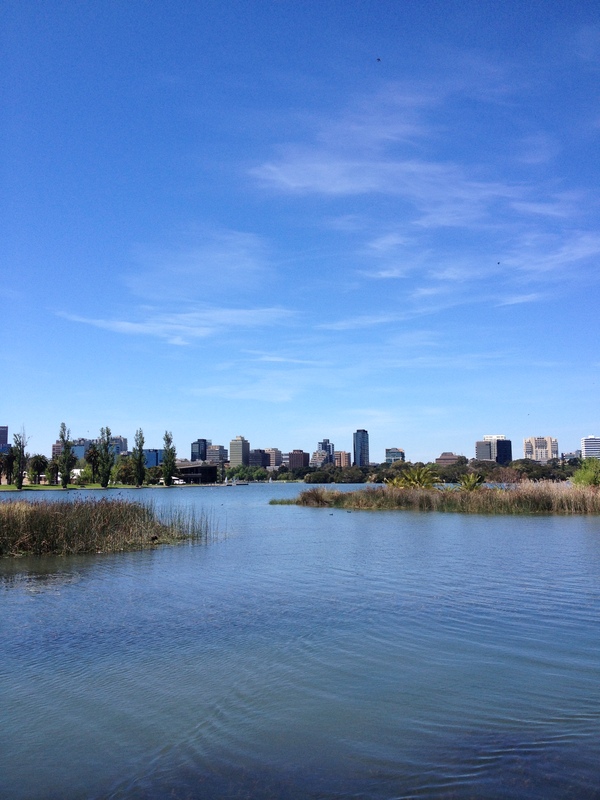 I’ve actually walked to Albert Park once before but I really couldn’t be bothered to do much exploring on the first visit. I can’t say I did much in the way of checking the place out but I did walk the length of the lake, enjoying the company of the black swans and less cool-looking waterfowl. Once through the park I knew I was basically at the beach. I had to navigate through a few sports complexes and a bit of suburbia but I didn’t mind too much. In a similar fashion to the U.S. and Canada, all the houses out here are very unique which makes wandering about a lot more fun than the British housing estates. After a couple of questionable turns I eventually stumbled out on to the beach, at last, hurrah, etc. Look at that, almost clear blue skies, pure white sand and space to sit and enjoy. I actually had to walk some way from St. Kilda before the beaches started to open up a little bit and in doing so, decided that I would continue to walk along the coast until such point that I was too tired to continue. This turned out to be a wise choice, the further East I went, the better the beaches became. Eventually I ended up on Brighton Beach, famous for it’s spectacularly painted beach huts. I suspect this may be illegal or something in the UK for resembling something a little too much like having a good time or enjoying yourself, but they look great. After chilling for a bit on the beach I decided enough was enough, I figured I’d walked at least 10km and it was time to head home and consider some dinner. 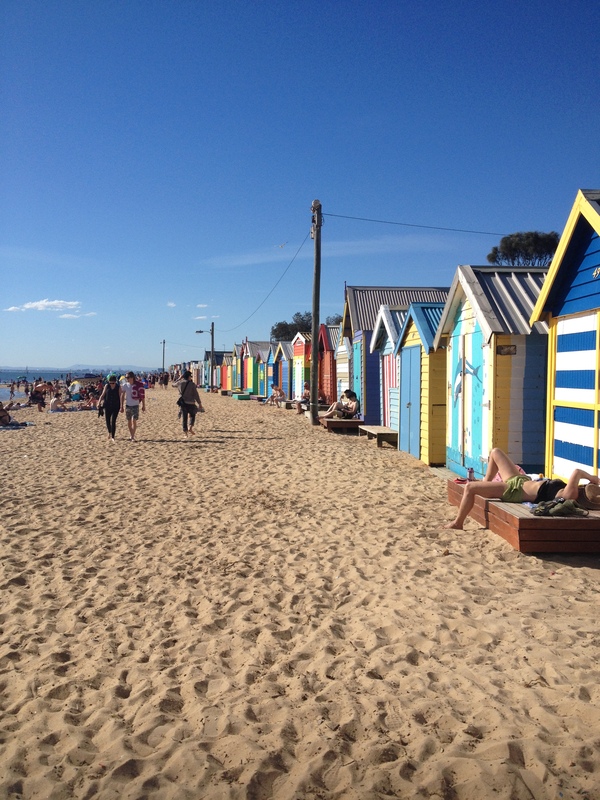 Definitely worth the walk and if you’re in Melbourne and want to head to the beach I’d recommend jumping on the train down to Brighton!